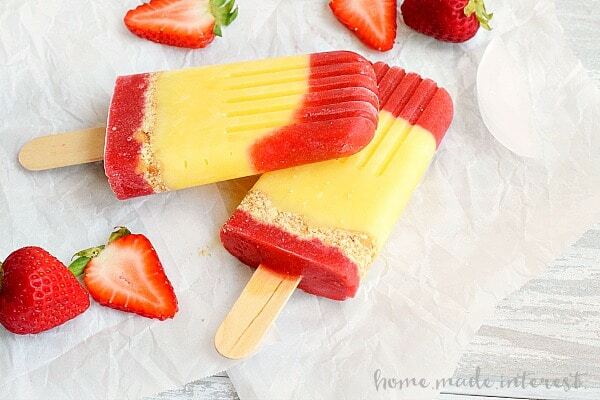 Strawberry Shortcake Popsicles - Home. Made. Interest. 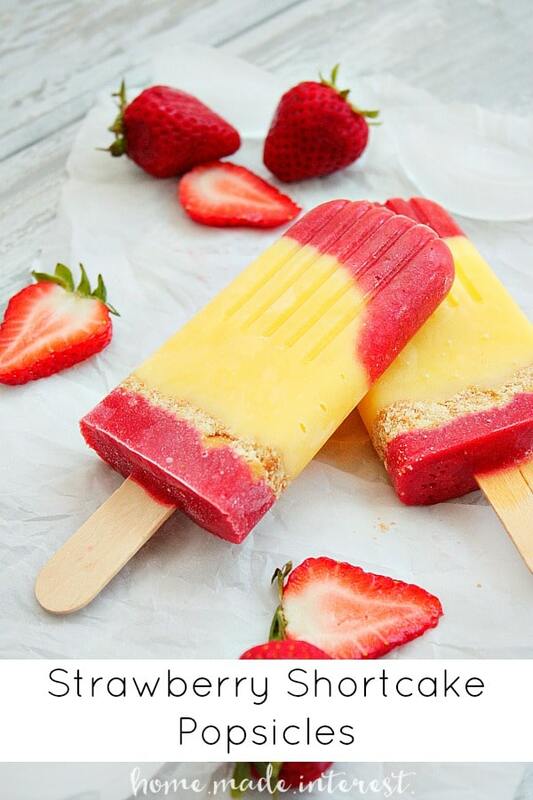 Sweet Strawberry Shortcake Popsicles made with fresh strawberries and vanilla pudding is a cool summer dessert. August has been HOT here! Getting the kids to go outside and play is next to impossible, and who can blame them. Five minutes outside and you are hot and sweaty. Even the dogs complain about having to go out! To keep us cool I’ve been trying out new popsicles recipes. The kids are always happy to be my taste testers and so far their favorite is this Strawberry Shortcake Popsicle. Strawberry shortcake is one of my favorite summer desserts. I love fresh strawberries with just a little sugar served over cream and a sweet biscuit. I had to get creative to get those flavors in a popsicle and I love how it turned out. For the strawberry layer I made a simple puree of sugared strawberries, it didn’t take much sugar they are super-sweet this time of year. For the cream I used vanilla pudding. Pudding pops were always one of my favorite popsicles when I was a kid so I knew my own kiddos would like it. I used Nilla Wafers to serve as the biscuit part of the shortcake. 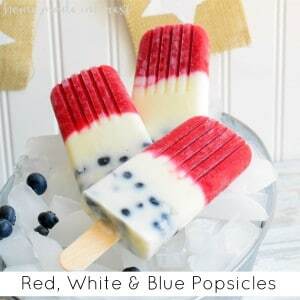 I know it isn’t traditional but they hold up better in a popsicle than a biscuit would have and they added that same texture to the popsicle. Besides, who doesn’t love Nilla Wafers? I layered the three ingredients and froze the popsicles for about 4 hours. When they were ready the kids lined up to give them a try. They got thumbs up from the whole family! They were fresh and light, just like a strawberry shortcake and they were the perfect way to end a hot summer day. 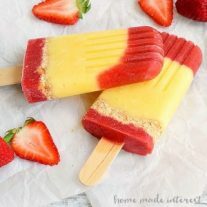 Fresh strawberries, vanilla pudding and Nilla Wafers make these strawberry shortcake popsicles the perfect summer treat. Puree strawberries and add sugar. 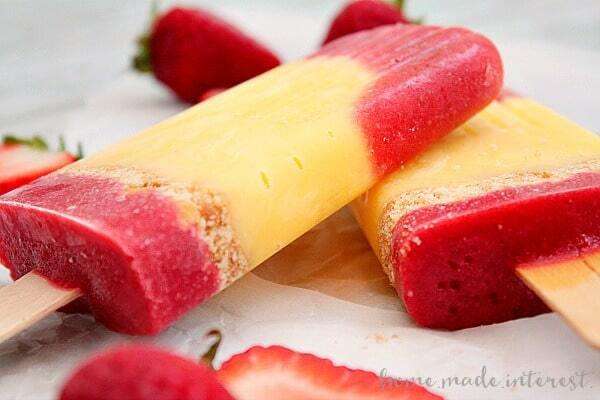 Layer popsicle molds with strawberries, pudding, Nilla Wafers, and strawberries again. 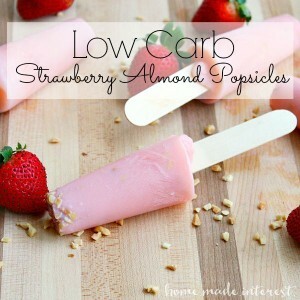 And stop by our Pinterest Ice Cream and Popsicles Board to see what other interesting treats we’ve found! 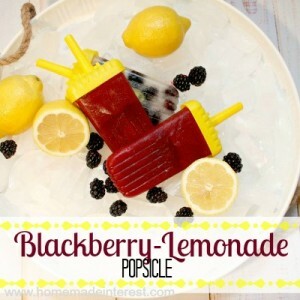 Oh, these look totally refreshing. I don’t know about the kids, but I would certainly be tucking into them! Holy wow, I cannot wait to try these! These look so yum! Love the presentation and your photography also! Delicious.